Kylie Jenner threw the most over-the-top Easter celebration for Stormi. 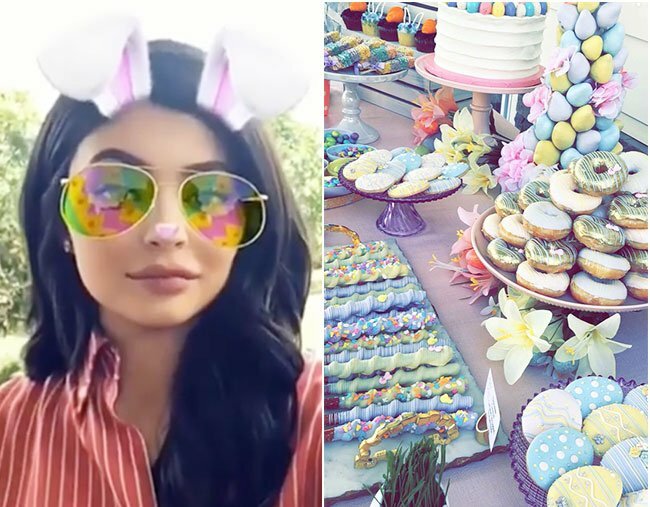 Kylie Jenner threw the most over-the-top party for her baby girl's first Easter. Oh, Easter. It’s the one time each year where families can gather and enjoy time together without having to be distracted by material objects and chocolate and… wait, scratch that. It seems that Easter is, in fact, about pastel-coloured sweets, money-filled eggs and terrifying 10 foot tall rabbits made entirely from flowers. At least, that’s if Kylie Jenner and her family’s Easter celebrations have taught us anything. The famous family is known for their over-the-top celebrations (Khloe’s pink and jungle-themed baby shower, anyone?) but 20-year-old Kylie truly went above and beyond to celebrate her baby girl’s first Easter. Posting a series of images and videos to her Snapchat, Kylie showed off the extravagant decorations and intricate detail that went into spending the holiday with her nearest and dearest. WATCH: Kylie celebrates Easter in true Kardashian fashion. The party came complete with a giant, inflatable slide and a table full of sweet treats in every possible shade of pastel. And there was a giant Easter bunny made entirely of flowers that is at once cute and terrifying. We’re talking egg-shaped sugar cookies, gold-flaked donuts, rabbit-themed cupcakes, chocolate-covered strawberries (with ears, obviously), rainbow grilled-cheese sandwiches shaped like eggs and an entire cake covered in Easter eggs. Kylie also shared snaps of the table decorations: kids were treated to pretty pink chairs and a centrepiece filled with fake grass and towers of eggs, while adults enjoyed a more classy version, with blue and pink table settings and a runner full of pink blossoms. But that&apos;s not all: Easter eggs were strewn across the lawn, with gold-coloured ones filled with, you guessed it, cold hard cash. Of course, oldest cousin Mason took home most (read: all) of the golden goodies. There was even a mini-petting zoo, with Kim sharing videos of four-year-old North snuggling up to some ducklings. But Kylie&apos;s Easter over-share wasn&apos;t just about decorations: it was also fans&apos; biggest and best look into the life of baby Stormi - now two months old - since Kylie announced her birth in Februrary. There was a snap of Kylie and Stormi&apos;s dad, Travis Scott, staring lovingly at their daughter. There&apos;s also an adorable video of Stormi looking into the eyes of her rapper dad, which makes us melt faster than the Lindt bunny we left outside in the sun bench which we took a chocolate-induced nap. If this is Stormi&apos;s first taste of what life as a Kardashian is like when it comes to big holidays, we can&apos;t wait to see what kind of party Kylie throws next. LISTEN: Why are more and more young girls altering their faces to look like Kylie Jenner? 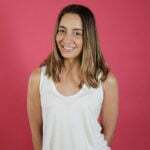 The Mamamia Out Loud team discuss.